A Warri-based cleric, Pastor Richmond Leigh of Father’s House Bible Church has won the law suit which has dragged on for 26 years against Ubeji community in Warri South Council Area of Delta state at the Supreme Court over ownership of the piece/parcel of land measuring 7 acres. In a unanimous judgment delivered penultimate Friday by Hon. 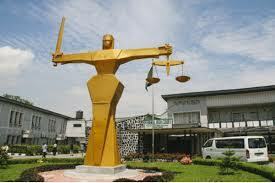 Justice Tanko Muhammad, the apex court upheld the judgment of a Warri High Court delivered on May 5, 2006. The Supreme Court in Suit No.SC/13/2013 between E.M Malari, Akoma Dudu and 18 Ors Vs Dr.Richmond Sisan Leigh dismissed the Application for leave to Appeal against the ruling of the Court of Appeal, Benin City in Suit No. CA/B/23m/ 2010. In a notice to all trespassers on the 7 acres land with Survey Plan No. DC/DT/01/05 dated January 30, 2018 and signed Eyitemi P. Fregene of Patrick Oganwu and Associates they requested all those with permanent or temporary structures on the said land to vacate same within seven (7) days failing which all legal means would be taken to take possession of the land. Pastor Leigh had in 1987 dragged the defendants to a High Court of Justice, Warri for knowingly selling his 7 acres of land originally sold to him by them to other persons in Ubeji community.